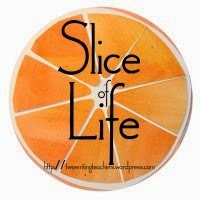 I'm slicing with the Two Writing Teachers community for Day Twenty-Eight of Thirty-One of the Slice of Life Challenge in March. Thank you Stacey, Tara, Anna, Betsy, Dana, Kathleen, Beth, and Deb. 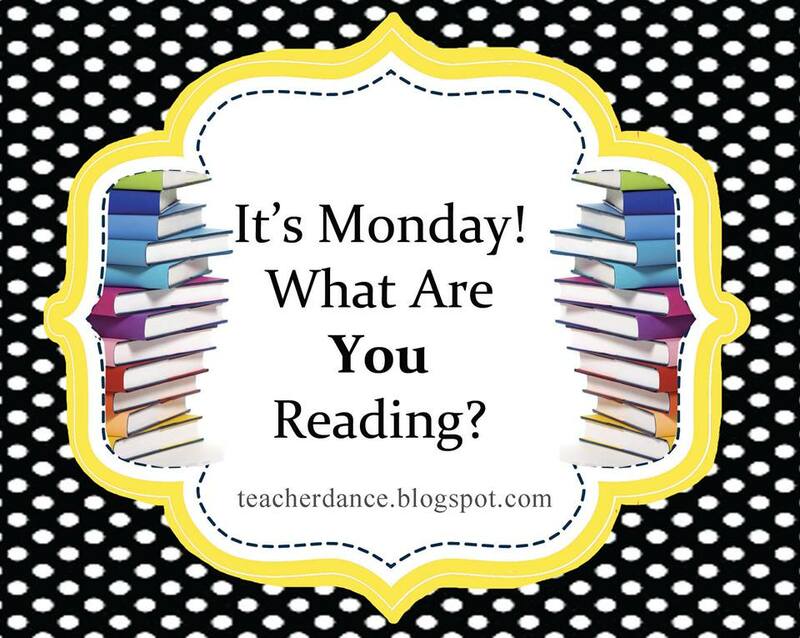 On Mondays, I connect with a group that reviews books they want to share. Here's a fabulous way to discover books you may not know. 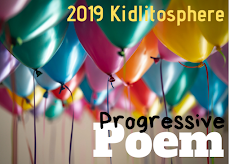 Visit Jen at Teach MentorTexts and Kellee and Ricki at UnleashingReaders to see what they've been reading, along with everyone else who link up. Peter must say goodbye according to his father. He must return his fox Pax to the woods, the one he trusts more than any other living thing, the one he’s cared for since Pax was found, the lone pup alive in a den. Some shadowy rumblings of war in the world outside begin this story of self-discovery, the learning of what is right to do. Peter’s father takes him to leave Pax, then to his grandfather’s, while the father leaves for war. Peter shows hints of past troubles, hints throughout the book of the guilt he carries from one incident before his mother drives off, evidently killed in a car crash. And Peter knows what he must do; he leaves on a trek of hundreds of miles through forest that same night as his grandfather sleeps. And that is where the story begins, when in alternate chapters we realize that not only are we going to observe Peter’s learning on the way, we’re going to observe Pax’s as well. It’s a long journey to research, imagine and write how a fox might behave and think as he encounters the wild for the first time. Sara Pennypacker shows that she did that study well. Here is a bit of the first night alone for Pax: “The long night before, they (noises) had alarmed Pax. The blackness had quivered with the rustle of night prowlers, and even the sounds of the trees themselves--leaves unfurling, sap coursing up new wood, the tiny cracklings of expanding bark--had startled him over and over as he waited for Peter to return.” Pax’s words grab my sympathy as I fear for him as much as for Peter, whose brave and long trek holds dangers too. Soon into the story, Peter is injured. He collapses with the pain, falls asleep. It’s so soon into the tale that I wondered what he would do. That’s when another character appears, a woman living far inside the woods. The basic plot feels out of the ordinary, but the meaning feels like life, the day to day love we give each other, the fierce love we feel for those close. It is both a human and a creature tale, to learn from and to enjoy all the way through. Thanks to Net Galley for a copy of this book. As I read this book, I often thought of my own city, wondering how it would be to see an occupying soldier on every corner, frantically trying to get back home before curfew? It is both tense and interesting to immerse oneself into a historical fiction novel, especially one during the years of World War II, imagining those lives lived so precariously. This middle grade to young adult novel is set in occupied Holland, mostly in Amsterdam. The main character is eighteen year Hanneke, not in college (some could continue their schooling) as she had imagined, and not with her true love, Bas, who enlisted early and has already died. She works for a Mr. Kreut as a receptionist in a funeral home, but soon finds that in addition to that work, even more money can be made by helping him make “special” deliveries of black market goods to various people in her part of Amsterdam. Hanneke has learned her job well, plays it very safe, knows just how to flirt with the German soldiers who stop her to ask about the packages. She never gets caught. But one day, one older woman customer is ready with real tea and pastries, and asks, no, begs, Hanneke to find a Jewish girl that has been hiding in her home. Then a darker story begins, although only covering a week’s period of time, the reader is pushed into the reality of war that Hanneke has been ignoring. There is a secret meeting with Bas’ brother, Ollie and friends. She resists helping their wider network, sure that it is too dangerous, the tasks of rescuing and keeping safe so many Jews, especially children. 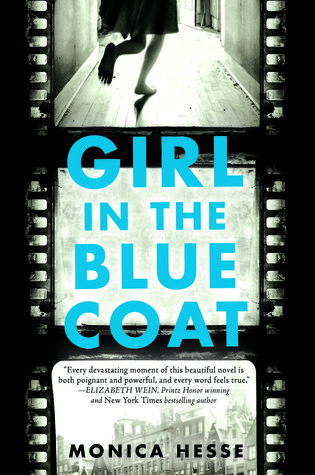 Yet, there is a part of her that cannot resist doing what she must to find this missing girl, that “girl in a blue coat”, so she immerses herself into the group. With a plot this intriguing, I followed along, wondering about certain parts, was often surprised at some outcomes. I was afraid for the characters Hanneke worked with, for Hanneke, was saddened by her parents’ constant worry for her, and even more so, the rift between them. She was no longer their child, and they had to stop their hold on her. Children grow up fast in a war-torn country and Hanneke is no exception. She travels places I don’t think I’d ever go, keeping persistent in the goal, to find this girl! Her search leads her into the resistance, learning of the courage of others, and becomes more immersed into the mysteries and tragedies of disappearing people. There are sad surprises, but not unrealistic ones. People do what is needed, some more kindly than others. The story shows a mixed up group of people who manage their lives in different ways. It’s hard to judge their motivations, but if reading this with a group of students, I would imagine conversations that considered different actions in the book. I liked that no one was perfect, no one was solely heroic, just trying to survive in terrible circumstances. The author’s note and acknowledgements show detailed research, and praise those brave young people who continued to do illegal acts that would get them shot if they were caught. It’s a good addition to children’s literature about World War II. This book was published nearly twenty years ago. If I have read it, I’ve forgotten. I found it displayed at the library, and because I love Faith Ringold, I wanted to read it. There are a couple of pages telling more about Harriet Tubman, and a list of further reading. In that back matter, Ringold writes that in the last days of Harriet’s life, she told of strange dreams where she was flying to freedom with the aid of a circle of ladies dressed in white. If you would like a beginning and beautifully told story to introduce our history of slavery, and all that slaves did to escape, this would be a great one. With Ringold’s pages filled with swirls of color, showing the flying (flight) to freedom and telling of those who helped, how they did it, there is hope. Underlying that are the warnings given of what would happen if the runaways were caught. Each page calls for questions from those who don’t know about slavery, like What does that mean? How did they survive? Who were those who helped? I enjoyed it very much. This story would not be the same without Emma Yarlett’s clever illustrations. She calls them doodles. I could look and look at all the “things” shown about Orion and his worries about the dark. And there’s a surprise cut-out illustration in the middle. A young boy named Orion is very scared of the dark, in all kinds of ways, the sounds, the shadows, those things he cannot even see! But when the “Dark” visits him, things change, and so much for the better. I used this book as my own mentor text last Saturday. Using a recognizable typewriter font, Philip Stead says “I have to write a story today. That is my job. I write stories. But today I don’t have any ideas.” So in beautiful illustrations, he and his dog Wednesday take us along on a walk, to show us what they see, who they visit. It’s an awesome, walk-along-with-words-and-sketches book. I imagine it will be useful in every writer’s workshop or writing slices time. I’m inspired and you will be too. I think I need to own this book! Marie-Louise Gay has written a book for children, about the many questions she is asked when she visits schools and shares her books. Her casual doodling/sketching style, filled with color and so many details made me read the book three times so I could be sure to see all included. I still bet I missed something. The answers to the questions are carefully organized in the back, but while one reads the book, Marie-Louise Gay begins with portraits of her workspace, then a self-portrait of her working at her desk, trying to find some ideas for stories. A group of children shout out questions, and she begins. Perhaps a blank sheet of white paper could become, a snowstorm! Or a faded yellow page could be the habitat of dinosaurs. (This, the children imagine.) And on it goes, until she does begin a story, and a few children go along and help. It’s creative sketching and wordplay, a wonderful book to explore for writing, and for imagining. It will be well loved in classrooms, perhaps K-3. Now Reading: The Red Notebook by Antoine Laurain, an adult book translated from the French. So far, very good. It's another book with a bookstore connection! I loved Pax. Touched me in the moment and has stayed with me. So much to discuss in that book. Middle school? I fear my 5th graders might be a bit young for the dynamic. Maybe not. I'm getting Any Questions? Sounds like one my kiddos would love. Hope you enjoy Any Questions? It's quite fun. As for Pax and who it's for. I think just like all books, one has to read it and decide. If your class isn't ready, as you know there are many others that are wonderful. Thanks, Julieanne. I just finished Pax on Saturday. I loved it! It will be my next read aloud. (I tried to fix your link on the SOL site, but you may also want to take a look.) 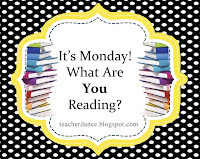 Have a great week reading, Linda! So glad you liked it, too, Jennifer. Thanks for the link-up check! 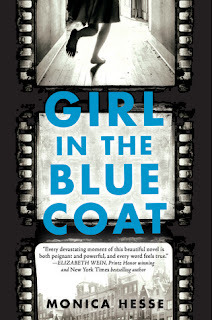 Pax was such a special book, Linda - and Girl in the Blue Coat sounds wonderful, too. You've been on a reading tear, I can see - how lovely! Both were good, and would fit your class, Tara. Thanks, and have a great week! I just bought Any Questions this week. Love the way it explores writing. Pax and Ideas All Around have been requested from the library. So many books to discover! Any Questions? is just wonderful, so glad you have it! Enjoy the others, too, Elsie. Interesting to read the comments on Pax - I had trouble getting into the book until the chapter when he wakes up in the barn. I thought the beginning lacked something to pull me in but suddenly I was caught and loved how Pennypacker pulled the story together. I do think kids would love this book and I would share it with 5th graders. So much to talk about! It seems that one must just know the class, & if they're ready for this kinds of story, complex, with some scary things that one doesn't always understand until later. Glad to hear your response, Joanne. Thanks, Terje, part of my writing comes from years of doing book groups with students I think. I've seen many more detailed ones, but I usually believe I don't want to give everything away. I am about to begin Pax as our family read aloud. I am so intrigued. I am off to the bookstore today and wondering if Ideas all Around will be coming home with me. I love Any Questions! I got to hear Gay read this book at an illustrator breakfast! Divine. That's very special to hear that you heard the book read by the author. That and Ideas Are All Around are two new favorites. I'll be interested in seeing what you think of Pax. I am reading Pax aloud to my gifted kids. I am learning so much more from the experience of reading it again. This is a book full of layers. I feel it will be a Newbery winner. 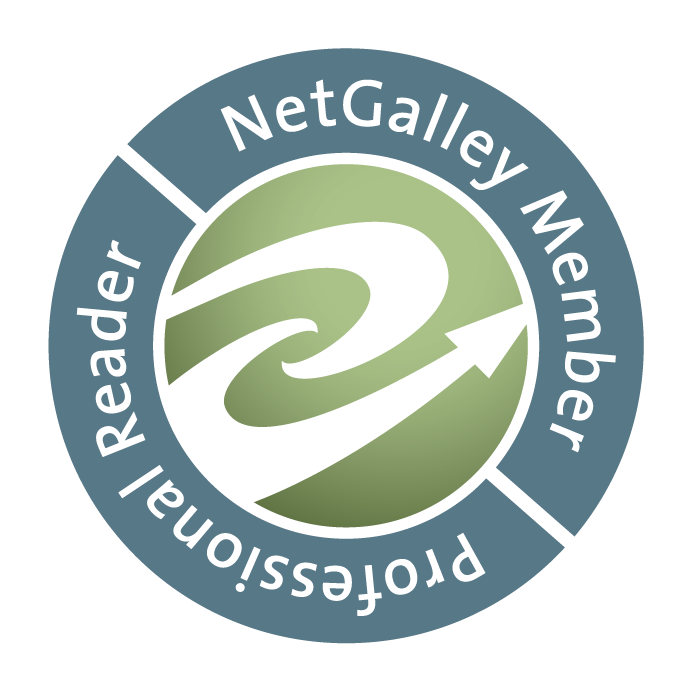 Agreed about the Newbery contender, Margaret. This is a special book! I really enjoyed Ideas Are All Around. 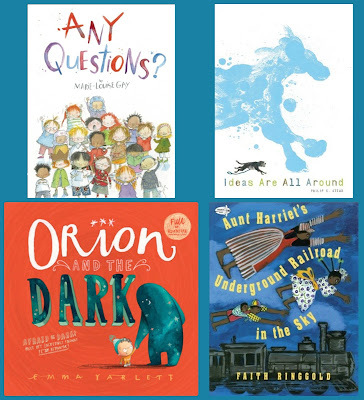 Great to add to the collection of picture books that adults can use in their creative lives. Great to hear that you thought it was good for all ages, Earl. Another great list, Linda. Pax is a haunting story, and I appreciate your review here, focusing on the coming of age of both main characters. I'm encouraging my daughter-in-law, a MS teacher, to read it and see if it would be a good fit for her students. It's got lots of discussion points! There is so much in the book, I agree, Jane. I hope she'll at least read it. Thanks! With things that have been going on, I have been neglecting my reading...and I miss it. I must get back and now I have more books to add to my ever growing list. And as you take it easy, time to read. Didn't you buy a few new books lately? I skipped the review of Pax and the comments for now (in case they are any spoilers). I have 40 pages to go in Pax and I don't want it to end. I'm requesting Orion in the Dark and Any Questions from the library, the Faith Ringold title too. I think I've read it before. Curious about The Red Notebook. I love books with bookstore connections. Can't wait for you to read Stella by Starlight! It was one of our Mock Newbery titles and I loved it. Much inspiration in this book about the life of a writer. I've heard so many speak lovingly about Stella by Starlight, looking forward to it. One of my local Indies, The Tattered Cover, has a display of bookstore-related books, so that's where I found The Red Notebook, Ramona. So far, an interesting read, short, almost a novella. Others speak highly of another book by this author so I may get it too. I assume you've read The Stories Life of A.F. Fikry-so marvelous. Yes, I loved the Storied Life of AJ Fikry! You will LOVE Stella by Starlight. 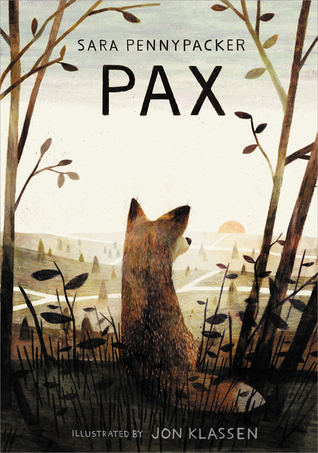 And Pax is one of my new most admired books. As always, Linda, don't I always, always say how you give me titles to seek out I've never heard of? The Rooftoppers is next up on my nightstand! Oh, you will love Rooftoppers, and I thank Ramona, above, for that find. It and the next one are wonderful. Yes, Pax is extraordinary, & I'm looking forward to Stella by Starlight. So many good books! Can I just scoop them all up to read? Both Pax and The Girl in the Red Coat sound amazing. I also want to read--or is it experience--Ideas Are All Around and Any Questions. Thanks Kay, I hope you enjoy them all! Pax is beautifully written, and I loved Ideas Are All Around. Thanks for all these terrific suggestions, Linda! I thought this one was wonderful and there was so much in this book to think about - especially relating to war. I assume you're talking about Pax, Crystal, and yes, I didn't even include that underlying theme. Thanks for reminding me.